Well ladies and gentlemen, this was some groundbreaking news in the world of MMA yesterday, when former UFC Welterweight champion Georges “Rush” St-Pierre had some fascinating statements to make yesterday on Ariel Helwanis MMA hour podcast show. This is just a quick post to give my personal take on his comments he made in this interview, and what it could potentially mean in the future. he started by explaining that his long awaited UFC return which many were expecting to be on the November Toronto UFC card, is not going to be happening. The reason it is not happening, is because Georges has severed his contract with the UFC due to both Georges and the UFC being unable to come to an agreement about opponent and money for his return fight. Personally i am very annoyed about this news, because Georges St-Pierre is a legend of MMA, i grew up watching every one of his fights, so im a big fan and would love to see him compete again in the UFC. I also know people that know Georges and i have never heard any stories about him being greedy, so there is no doubt to me that what him and his team were asking for financially would likely be completely reasonable. Georges then elaborated that a deal for his return was almost struck with Lorenzo Fertitta, but then the UFC was sold to WME-IMG, and since they have taken over, they have told Georges that the offer that Lorenzo gave him and his team was now void. the new UFC owners are not agreeing to pay what Georges is asking for, and according to Georges they are also complaining about having to spend on advertising to “re-introduce” him to the newer audience. To me that was a really disrespectful comment to make, because Georges St-Pierre is a legend of MMA, he is 25-2 against basically 3 generations of the worlds best Welterweights, and he went on a phenomenal 11 back to back title defences. Any MMA fan that does not know who he is, is not really an MMA fan anyway, and new fans would be built from him performing in in octagon regardless. Now during this interview Georges was very careful about the words he was using, and stated his Lawyer by name multiple times. Now for anyone who has the ability to read between the lines, it is clear that there is a lot of things that are eluded to within this interview. Future Leader of a Fighters Association? So i suggest you watch this interview in full, because now he is a free agent, he is not counting out fighting again for another promotion, or maybe the UFC. But more interestingly to me, he highlighted the fact that all the best paid fighters need to stand up for the UFC fighters that are too financially poor to say no to being exploited/manipulated for a tiny fight purse by the UFC owners financially. I have to say that this story is very interesting, i fully support Georges St-Pierre in his decision to stand for better fighter pay, it is a commendable act from a commendable human being. So he is a free agent now, and what myself and many others are wondering now, is will Georges fight again? If so when and where? 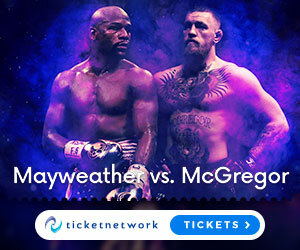 Or instead of fighting in the cage, maybe he will be doing more legal fighting – possibly becoming a president of a fighters association along with other big name current and former UFC fighters? Who knows, i for one think that Georges St-Pierre could now be one of the best candidates to be a pivotal part of a fighters association being set up, whos sole aim would of course be to maximise the fighters pay inline with other sports athletes. Hi Andrew, exactly it is very important that MMA fighters continue to have improved pay, because many MMA fighters have been struggling for years. Yes it is the way of things at the moment, but with Icons like GSP speaking out, and more fighters standing up for their rights, then eventually there will be an MMA association that will keep MMA fighters with pay equal to other major professional athletes.